In the first of our new Z390 motherboard reviews, we're taking a look at the ASRock Z390 Taichi. This model sits quite high up in the product stack and offers users 2x1G LAN, three PCIe 3.0 x4 M.2 and a total of eight SATA ports. 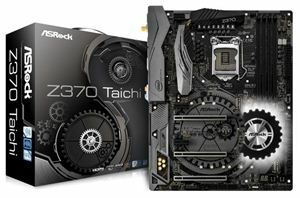 ASRock has taken the unique Taichi design and implemented the new Z390 chipset into the mix for a high-performance and feature-packed offering designed for enthusiasts looking to push the new Intel processors.